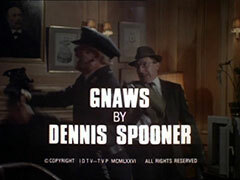 Thornton (Julian Holloway) is caught by Harlow (John Watts) red-handed with sensitive documents but kills the surveillance man, and dumps his body. Gambit and Purdey inspect Harlow's corpse and investigate the Ministry he was surveilling. Meanwhile, Thornton coerces Carter (Peter Cellier) to steal sensitive material. He steals a box marked 'radioactive' but alerts the guard, Walters (Morgan Shepherd), when leaving and has to knock him out to escape. Carter meanwhile has produced a huge tomato in a matter of days and no longer thinks they have the right to commercially exploit their discovery. 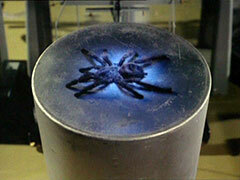 Thornton talks him round, and they find a massive spider in the sink cupboard. Down in the sewer, George is killed by the... okay, the giant rat we're not allowed to see yet... while Thornton identifies the spider as a common house spider which has been exposed to the isotope; Carter admits spilling the concentrate and Thornton theorises the sewers would have dissipated the fluid. Gambit meanwhile has decided the other side has an armoured buggy roaming the sewers - George fired a full clip from his pistol to no effect - and arms himself with an armour-piercing sidearm. Purdey notices the boots of the missing worker are luminous, and suspects nuclear power; she investigates the sewer and encounters Chislenko (Jeremy Young), whom she fights - a timely intervention by Gambit stopping him from shooting her. Gambit tells him they won't press an underground war if they release George; Chislenko says he was looking for one of his own, Ivan Borovich, who disappeared two days ago. Thornton hears a news report about the mechanic's death and quickly calls Carter. He's decided they must kill the giant rat to avoid exposure and loads his shotgun with solid lead ball cartridges. 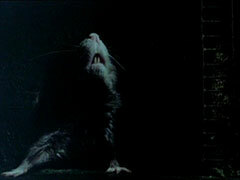 Chislenko returns to the sewer, determined that Russia should solve them mystery before Britain. Meanwhile,two tramps, Joe (Keith Marsh) and Arthur (Ken Wynne) are cooking dinner near the sewer, when Arthur finds they have no water. He fetches some from an outlet - "it'll be alright if we boil it, wonnit?" - and while he's gone Joe is attacked by the rat. He returns to their empty camp and screams when he sees the rat approaching... Turning in for the night, Purdey sees her luminous clock and remembers Thornton dismissing the stolen material as being "no more dangerous than the figures on a luminous watch". The delirious Arthur tells Gambit and Steed that Joe was taken by a shark! Searching the sewer, Gambit is struck by its tail and tells Steed it was a snake. Purdey meanwhile is discovering Thornton's whereabouts from Walters. 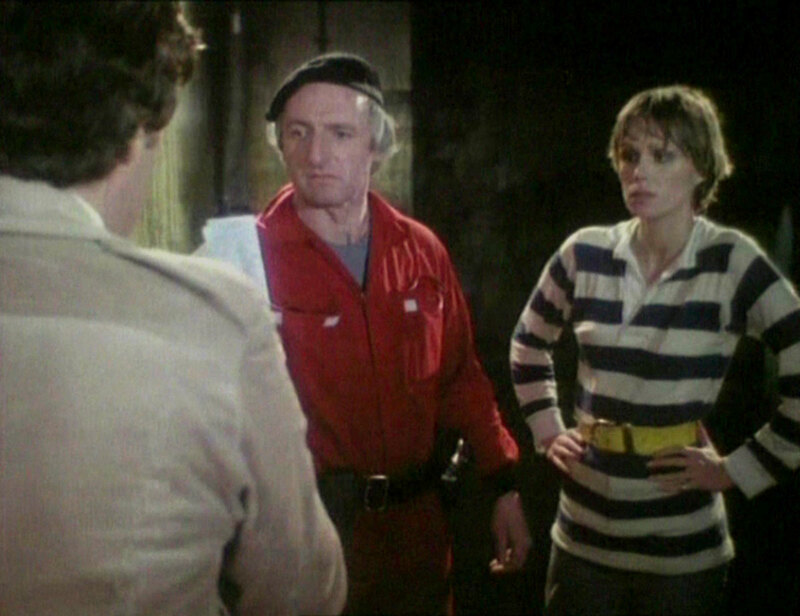 Chislenko hears Thornton and Carter enter the sewers and follows them, while Purdey enters Thornton's lab and finds the now massive tomato. In the sewer, Thornton is on the verge of shooting the whining Carter when the geiger counter indicates the rat's proximity and they find its lair. 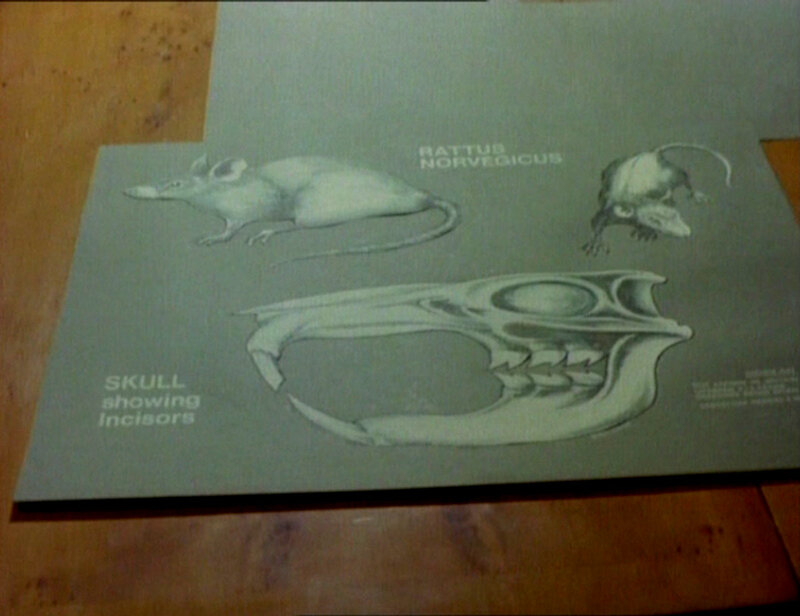 Thornton and Carter - and Chislenko - hear the rat approaching, it skirts them and seizes Carter from behind, the horrified Thornton unable to shoot. Purdey hears Carter's scream and enters the sewer. 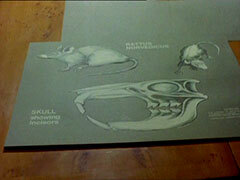 Meanwhile, Steed is brewing a foul concoction, and shows Gambit that the 'snake' and 'shark' combined make a giant rat. 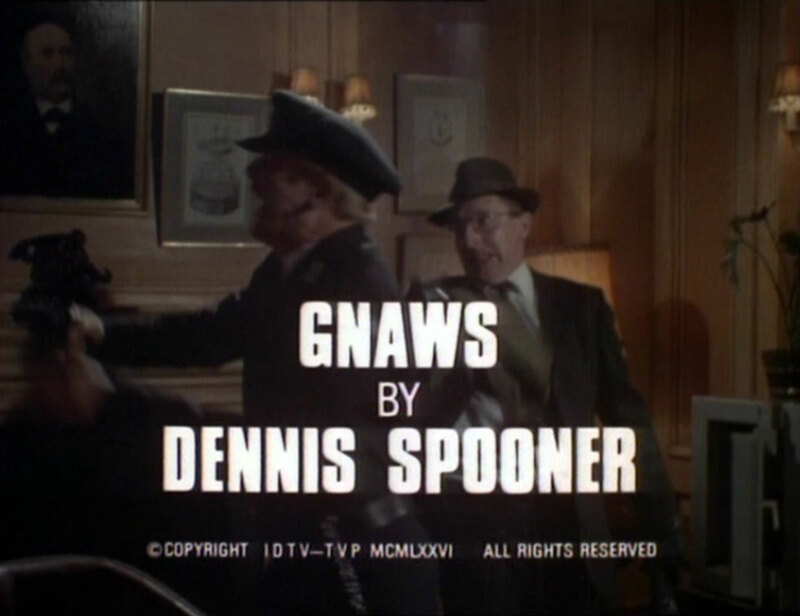 Chislenko confronts Thornton and is gunned down - the reverberations are heard by Purdey while Steed explains his brew is guaranteed to attract all rats (sound familiar?) - they descend into the sewer with it just after the wounded Chislenko has pointed Purdey in Thornton's direction. They find Chislenko and realising Purdey thinks she's only up against Thornton, hurry after her. Thornton meanwhile captures Purdey and tells her she'll make the perfect bait - "the bait for what?" she says, then she hears the rat and blanches. It emerges and Thornton opens fire, hitting it twice but still it comes, Purdey cowering in fear. Steed bursts in and throws his bag of bait over Thornton, and whisks Purdey to safety as the rat turns on Thornton and kills him. Unfortunately, they flee down a dead-end tunnel and the rat follows... Gambit arrives on the other side of a grate in the nick of time, and several shots from his rocket gun vanquish the beast. 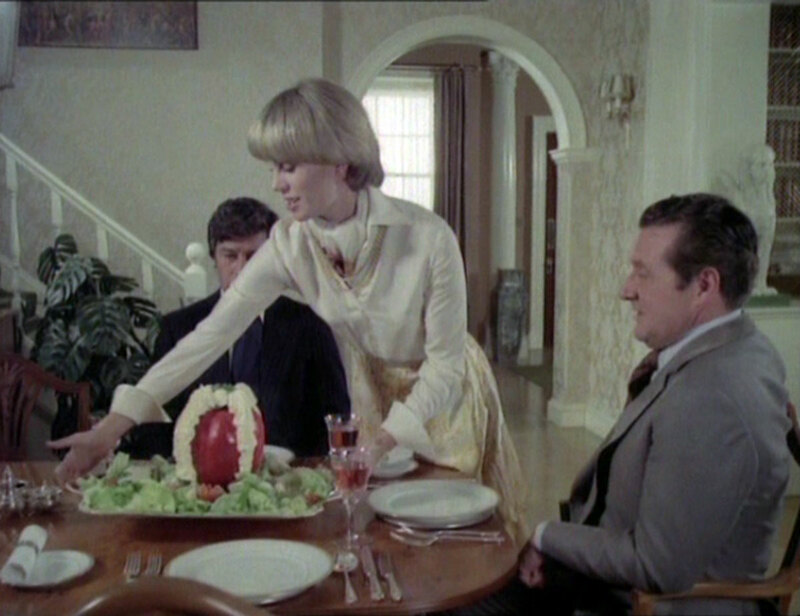 As a reward for their efforts, Purdey makes a salad with the giant tomato - what they don't eat today they can eat the next day - "and the next, and the next" chime in Gambit and Steed.